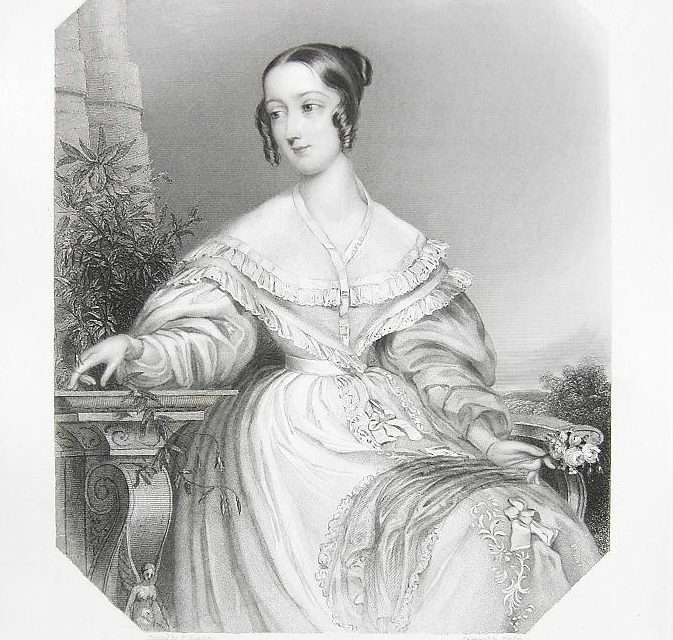 In the late summer of 1839, Isabella Jackson, the nineteen year old daughter of Joseph and May Jackson of Limerick city, had some of her poetic sketches published. One of these was ‘Lines on the death of Lady Flora Hastings’. 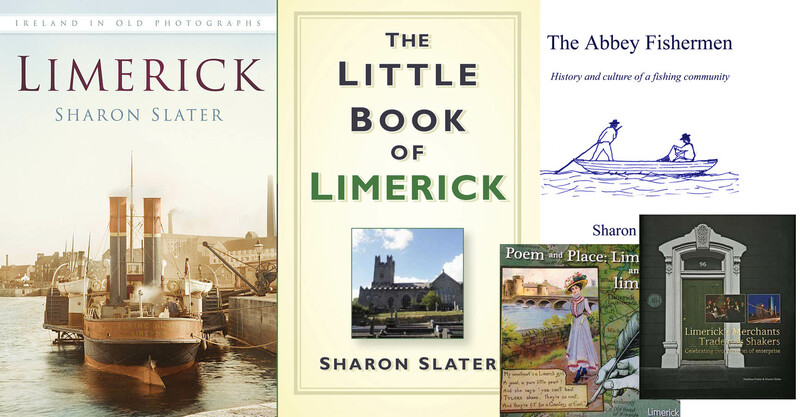 The Limerick Chronicle reported that these poetic sketches having been read in London caused some ladies there to send ‘an elegant gold watch and appendages, besides a suit of jewellery’ to Isabella. These ladies knew nothing of Isabella and sent word of the gift through the local newspaper as they had no other means by which to contact her. A posthumous portrait of Flora Hastings by Edward Francis Finden. Why were these ladies so keen on Isabella’s poem? That was most likely due to the subject. 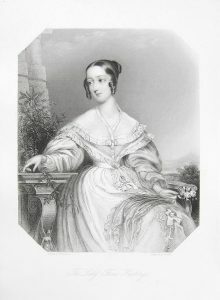 Lady Flora Hastings was born in Edinburgh in 1806. She became Lady-in-waiting to the future Queen Victoria’s mother, The Duchess of Kent and joined their household at Kensington. The young princess was not very fond of Flora though she remained in the house hold even after Victoria’s coronation on 28 June 1838. A few months later Flora made a trip home to Scotland to visit her family and returned alone in a carriage with Sir John Conroy. The lady-in-waiting had complained that she’d been feeling bloated and was in pain during the month preceding and her stomach was swelling noticeably. This caused tongued to wag in the court and ultimately caused the new Queen to believe that Flora was pregnant. Victoria forced the young woman to undergo a physical exam to decide if she was indeed pregnant. The news of this event was not kept secret and Flora’s name was in disrepute even though the Hastings’ family doctor, Sir Charles Clarke carried out the procedure and concluded that there was absolutely no way Flora could be pregnant. The truth was that Flora was suffering from an advanced cancerous liver tumour and dying. The Hastings family was furious and sought a public apology from the young monarch. As this was not forthcoming they publishing a personal letter from Flora in which she told her version of events. Flora passed away aged just 33 on the 5th of July 1839. She died in London but was buried at her family home, Loudoun Castle in Scotland. The Hasting family and Sir John Conroy (who the Queen accused of being the father of the child) launching a campaign to bring the Queen and her physician to justice. Their campaign was not successful but the scandal stayed with Victoria for the rest of her time as Queen. The poem from Limerick came only two months after Flora’s death at a time when the scandal was fresh in news and so it is not surprising that ladies in London would give to those sympathetic with the case.